In 2017, Boise’s migration rate was twice that of Seattle’s and three times greater than Denver’s. There is no doubt that Boise is attracting talent, business expansion, and economic investment. While Boise’s growth can create challenges, we are encouraged by the results of a recent City of Boise citizen survey which found that 62% of residents thought that Boise’s growth was positive for the community and 92% believed that Boise’s overall quality of life exceeded or greatly exceeded their expectations. Our thriving community is well aware that we will have to thoughtfully and strategically address housing, infrastructure, and land-use challenges to maintain our quality of life. Our team is uniquely positioned to help strike the delicate balance between stewardship and economic prosperity. After opening our doors in Boise in 1991, our firm’s growth has mirrored that of our valley – from 3 entrepreneurs in a single office to over 80 people in 3 locations across Idaho. We’ve experienced firsthand the success and challenges that come with growth. Like you, we enjoy the thrill of a new retailer’s arrival to our shopping centers, the success of local businesses as they thrive and open new locations across the valley, and the new jobs and wage growth that are ushered in by new and expanding businesses, large or small. We also share the concern that our infrastructure, schools, and wide-open spaces must be provided for. 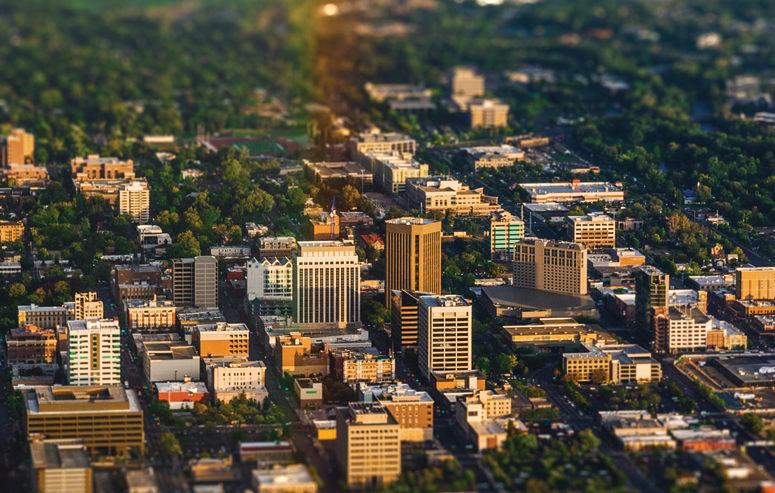 We are proud to be a homegrown business that has been offered the privilege of representing Boise on a national stage and are committed to doing our part to help foster smart growth across the Boise Valley and throughout Idaho.